Diabetes prevalence has risen faster in low- and middle-income countries over the past decade than it has in high-income countries. Globally, three quarters of reported diabetes cases occur in low- and middle-income countries that are also experiencing mild to severe forms of food insecurity, which contributes to the increased occurrence of type 2 diabetes. The International Diabetes Federation (IDF) has estimated that by 2030 the number of people living with diabetes globally is expected to reach 552 million, with the highest number of cases occurring in Africa. In 2015, almost half of all adults with diabetes in Africa came from South Africa (2.3 million), Democratic Republic of Congo (1.8 million), Nigeria (1.6 million) and Ethiopia (1.3 million). In South Africa, 5.4% of the total adult population of 33.7 million is diabetic, while a large proportion of that population remains undiagnosed. This is because it takes up to seven years to recognise the presence of the disease before a person can be diagnosed for the first time. Unfortunately, the longer a person lives with undiagnosed and untreated diabetes, the worse the health outcomes are likely to be, hence the need for easy access to basic diagnostics for diabetes in primary healthcare settings. It is therefore important that people are able to recognise the early warning signs – including symptoms such as frequent peeing, feeling very thirsty, feeling very hungry even though you are eating, extreme fatigue, blurry vision and cuts or bruises that are slow to heal. Evidence shows that the risk of developing chronic diseases in adulthood is influenced not only by genetic and adult lifestyle factors; the environment during early life also plays a very important role. People living in unfavourable environments and facing difficult socioeconomic situations may begin life with increased vulnerability to diabetes and many other non-communicable diseases. This greater risk begins with under-nutrition of the mother during pregnancy, which affects not only her nutritional status but also the overall nutrient supply to the growing foetus, resulting in infants born small for their gestational age. The subsequent catch-up growth and catch-up fat rather than lean mass during the first years of life is strongly associated with increased risk of developing abdominal adiposity, obesity, insulin resistance and type 2 diabetes in later life. The association between the incidence of diabetes, its care, and food security has a huge impact on the management of type 2 diabetes in South Africa. Even though food insecurity by itself does not cause diabetes, the possibility of being food insecure is higher in people living with type 2 diabetes than in those without the disease. This is because lost productivity at work due to absenteeism as a result of complications related to diabetes and disease-related disability increases the severity of food insecurity. The direct and indirect cost associated with the lifetime management of diabetes can place a huge burden on the family unit. Direct costs include total medical treatment, prescription medications, and special dietary needs. Further indirect costs are incurred via absenteeism and an inability to work as a result of disease-related disability. 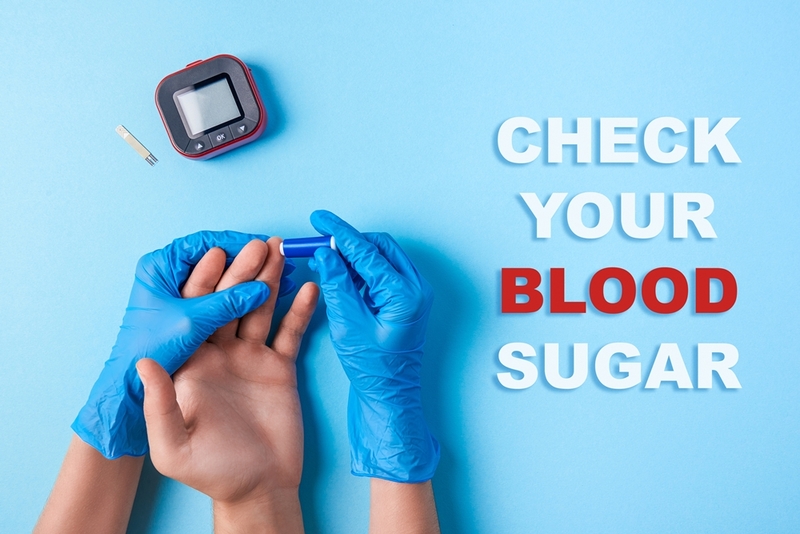 Additionally, management of the disease calls for long-term care to control blood sugar levels and its complications through chronic medication, diabetes monitoring supplies, diabetic friendly foods and other basic needs. Low-income food-insecure households find it difficult to manage the disease, for reasons including their perceptions and limited knowledge about what to eat, the costs associated with healthcare follow-ups, or finding time for the recommended level of exercise. For food-insecure people, the high cost associated with managing the disease can lead to low levels of compliance with medical treatment plans. Food-insecure diabetic patients are often faced with difficult choices – such as choosing between covering the costs of managing the disease, and buying basic household requirements. Patients often ignore the disease because they are unable to cope with the potential costs associated with managing it. Instead, they choose to feed their families. They are constantly worried about whether they will have enough food to make it to their next pay-cheque. This is even worse among patients living in rural areas, who may find it even more difficult to access healthcare, medication and other monitoring supplies. All these factors increase the likelihood of poor diabetes control, which often leads to complications such as amputations, blindness, kidney disease and even death. The quality of treatment, shortage of medication, limited nutrition knowledge and diabetic education in the overburdened public healthcare sector are major challenges in managing the disease. Greater cooperation is urgently needed between the public healthcare system, different government sectors, non-government organisations and community workers, to support the implementation of relevant nutrition education interventions. There is a need for interventions that are affordable, cost-effective and based on the best available science. These must promote healthy food preparation methods using affordable local foods, along with exercise. Public healthcare services need to make provision for better access to medications and supplies such as blood-sugar test strips at primary healthcare facilities. It is critical that diabetic patients are given clear information through continuous diabetes education together with their families. taking a life-course approach to diabetes, by recognising the life-long influences on the development of diabetes and recognising opportunities to prevent and control it at key stages of life – from preconception, through pregnancy, infancy, childhood and adolescence, through to adulthood. creating supportive natural and built environments to facilitate physical activity. creating interventions that reach out to individuals, families and communities. policy action to increase the price of foods high in fat, sugar and salt. mobilise sustained media and educational campaigns aimed at increasing consumption of healthy foods (or reducing consumption of less healthy ones), and increasing physical activity. Dr Nokuthula Vilakazi is a Project Coordinator for the Early Career Research Leadership Fellowship for Future Africa at the University of Pretoria. World Diabetes Day is commemorated on 14 November, after becoming an official United Nations Day in 2006. The day is commemorated on the birthday of Sir Frederick Banting, who co-discovered insulin along with Charles Best in 1922.